Bookride: Bruce Chatwin. In Patagonia, 1977. 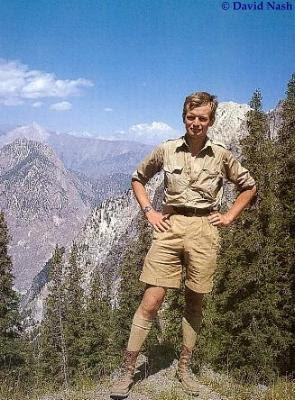 Bruce Chatwin. 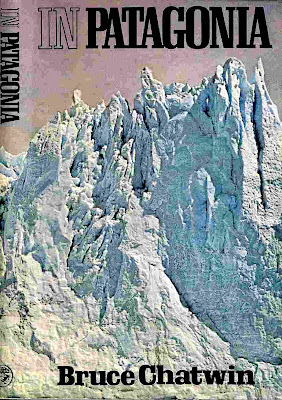 In Patagonia, 1977. "One never knows how to classify his books...Anthropological and mythological studies in the tradition of Tristes Tropiques , adventure stories looking back to our early childhood reading, collections of facts, dream books, regional novels, examples of lush exoticism, puritanical penance, sweeping baroque vision, self-denial, and personal confession - they are all these things together. It probably does them most justice to see their promiscuity, which breaks the mold of the modernist concept, as a late flowering of those traveler’s tales, going back to Marco Polo, where reality is constantly entering the realm of the metaphysical and miraculous, and the way through the world is taken from the first with an eye fixed on the writer’s own end." W.G. Sebald on Bruce Chatwin. Bruce Chatwin. IN PATAGONIA. Cape, London, 1977. Cult travel book that used to be worth more than it is now. It is still highly rated and much collected and the cult of Chatwin shows no signs of settling down. The problem is that there are too many copies around; the print run of the first edition was 3000. It used to be a 'sleeper' high on the lookout list- often found for £2 to £3 in the travel section of provincial second hand book shops that had never heard of the great wanderer. The net has stopped that happening. Some critics have found his books somewhat overrated - he was known to physically attack critics who had given him bad reviews. Other writers known to set about critics include Stephen Berkoff, Richard Ford, Norman Mailer, Craig Raine and Stanley Crouch (who he?). Oddly enough this book is still to be found for sale at the online book malls (at $8000) but merely sold as a presentation copy to a 'Prunella' without any of our learned banter about Eileen Gray as the original inspiration. A shame, such is the power of Eileen Gray's name we were able to sell prayer books and children's books with her ownership signature. Put her with Chatwin and you have a win double. VALUE? A copy made about £600, unsigned and in faded jacket last year but copies fine in jacket can usually be picked up at ABE at less than £400. A few years ago it was selling at book fairs for £700+. The spine has a tendency to fading so copies with unfaded, unsunned jackets can go for a premium. Outlook? It is just possible that Chatwin will be seen in the future as some sort of combinaton of Richard Burton and Robert Byron, in which case keep your copy in a closed and curtained cabinet. Salman Rushdie. Midnight's Children, 1981. Franz Kafka. The Trial, 1925-1937.